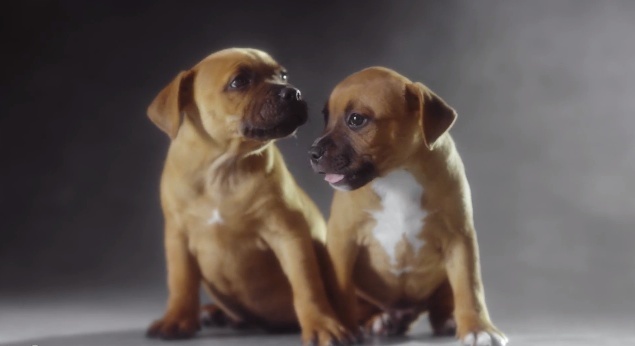 Hoping to latch itself onto the belief that any video with cute pets will go viral, Pedigree, with help from Colenso BBDO, is out with a video featuring cute puppies that's part of its Adoption Drive. The brand will donate any YouTube advertising revenue generated from this video's views and earmark it for feeding dogs in need. While there have been some amazingly powerful safe driving PSAs from all over the world, most of them resort to the dramatic, real-life trauma of the crash (see the all-time classic here). But this entry from Honda takes a different approach. 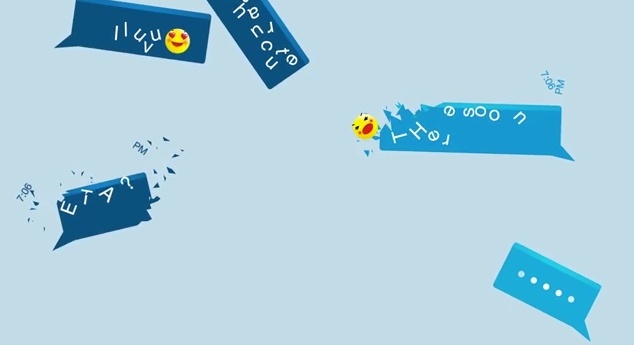 The automotive brand has enlisted the power of emoticons to convey its message with a new social media program aligned with April's Distracted Driving Awareness Month to call attention to the dangers of texting while driving. In support of this first-ever National Highway Traffic Safety Administration (NHTSA) initiative, Honda is launching the "Thumbs Up" (#thumbsup) social media campaign to reach young drivers by using emoticons along with a video that illustrates the importance of safe driving. In April of 2013, Dininyls frontwomen Chrissy Amphlett died from breast cancer after an ultrasound and mammogram missed the cancer. Later, Amphlett found a lump on her own through self-examination. It's said that her dying wish was to have the 1990 hit, I Touch Myself, be a reminder to all women to check themselves regularly for signs of breast cancer. The Australian advocacy group, Cancer Council New South Wales, took it upon themselves to work with supporters and other singers to create this new version of the song. Well now at least we know Chatroulette is still thing. Who knew? We can thank Spanish ad agency VCCP for reminding us with a testicular cancer awareness campaign which made use of the chat services primary feature; guys who have no problem self-pleasuring themselves on camera. 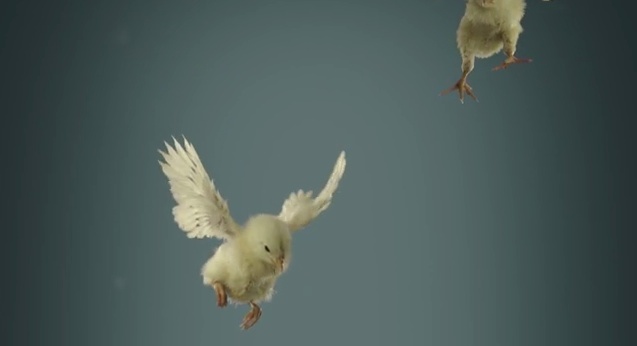 David Hakimyar, a student at the Filmadademy Baden-Wuerttemberg in Germany, created a commercial for PETA which tells the sad story of what happens to male chicks as they attempt to take first flight. While the work is not official PETA work, the cause group did give Hakimyar permission to use the PETA logo and he tells us PETA will be posting the video on their official channel as well. 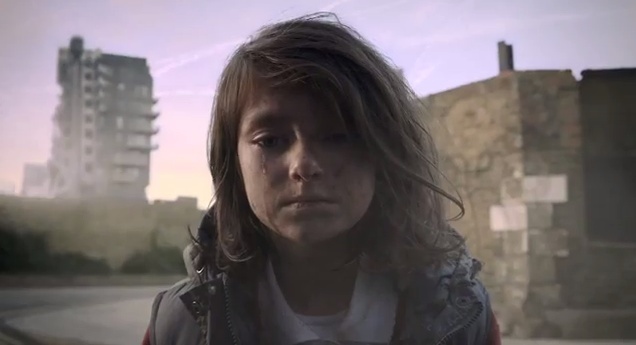 Don't Panic is out with a powerful Save the Children PSA which calls attention to the crisis in Syria by examining what would happen to a girl in London -- one second at a time -- if the crisis came to the UK. The 90 second video, which begins with the girl's birthday and ends with her next, starts out lovingly enough with shots of warm family life. It then shares the tragic changes to the girl's life were the crisis occurring in her own back yard. The video ends with "Just because it isn't happening here doesn't mean it isn't happening." 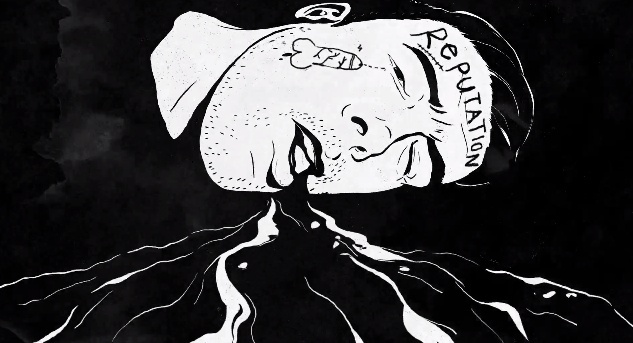 To combat the fact one in five women suffer from eating disorders, Enosh, the Israeli Association for Mental Health, is out with an ad that has a woman in her underwear getting "eaten" by creepy-looking, snake-like skeleton creatures. It's all to convey the fact eating disorders like bulimia and anorexia are "dead scary." And so it seems, the campaign, created by TBWA\Yehoshua, aims to get women to imagine they have creepy-looking, snake-like skeleton creatures swirling around their midsections...unless they go out and down a few Big Macs. Or at least a salad or two. Evolve, a non profit gun safety organization founded by Jon Bond and his wife Rebecca, is out with its first PSA. Entitled The Bill of Rights for Dumbasses, the PSA takes a satirical look at your founding fathers reviewing the Bill of Rights. In reviewing the second amendment, the Thomas Jefferson character says the second amendment is too long and the phrase "as long people aren't being dumbasses about it" isn't needed because it should be a given. We love a good fight, don't you? Well, that is, a good clean ad fight. Between creatives. Who are students. Trying to break into the industry. And one-up a fellow university at the same time. 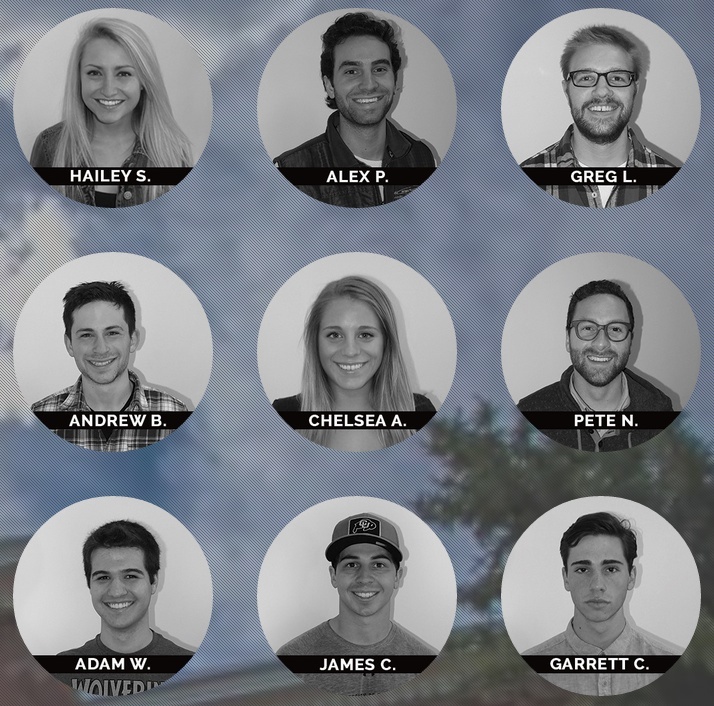 So, yes, it is out pleasure to point you to CU at the AdFight, a sight on which University of Colorado Boulder students have formally accepted a challenge from Brigham Young University to engage in a 3-day ad battle they hope to have judge by you. Yes, you. They want advertising professionals to judge the competition and they's also love it if an agency would step up with a hypothetical (or real, for that matter) brief from which the battle can be based. So come on. Help these students out. And remember, you were young and hungry once too.